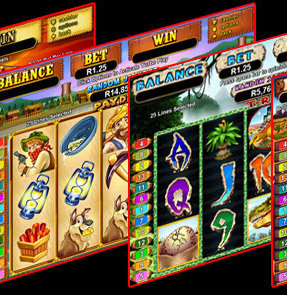 One particular section of Silversands Games that are my favorite and extremely popular amongst players, is the Real Series Video Slots section. This is where the action is, you stand a chance to win MEGA BUCKS with these Slots!! The Real Series Video Slots in this section offer players Free Games and Bonus Games, should you get certain slots symbols in a required order. This will trigger the Free Games Feature where you can win anything from 5 to 25, in some a 100 Free Games, which can be triggered again in almost all of the games, should the symbols show themselves again. So where's the Big Bucks? well each Free Spin will pay you 2x, 3x, 5x or 10x and in some, up to 1000x your bet in winning combinations, but there's more! Silversands Casino Games also offers RANDOM PROGRESSIVE JACKPOTS or commonly known as, RPJ games. Silversands Casino has grouped around 4 Slot games, to a particular Random Progressive Jackpot. These Random Progressive Jackpots start with a base figure of R5000.00. It's not uncommon for these RPJ's to reach a massive R100,000.00 in MEGA BUCKS. RPJ's go off every couple of day's and not months as do other Progressive Jackpots. They can be won by any player, at any size bet, at any time!! Silversands Casino is truly worth playing at. 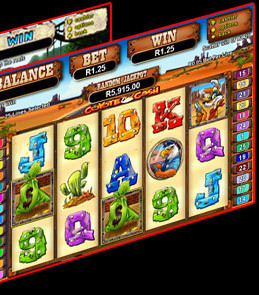 Don't forget New Players receive up to R8888.00 in Welcome Bonuses. How To Get Started With Silversands Casino. Click on the VISIT CASINO button at the bottom of the page, this will direct you to the Silversands Casino Web site. Once at the Casino, as with all Casinos, you will need to Download the Free Casino Software, so click on the Download button. Complete the screen messages ( click RUN ) for the installation to start. 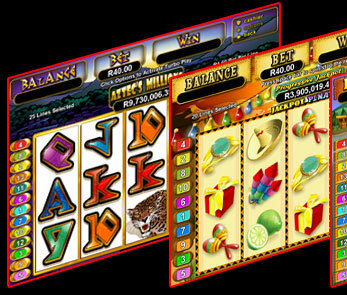 The Casino Software will then be installed and a shortcut will be placed on your desktop. During the installation process, you must supply the Casino with your details for security reasons. You will be asked to open your real money players account, complete as required ( only real player accounts will qualify for the Welcome Bonus including weekend bonuses). Once completed and you want to make your first cash deposit, double click on the casino icon on your desktop to open the casino software, insert your user name and password. You are now at the Casino. Go to the casinos promotion page to obtain your bonus code. Submit your bonus code to the casino. Your welcome bonus will automatically be credited to your deposited amount. Click around so that you get a feel of the site, deposit methods, cashing in your winnings and promotions that are available. Weekend promotions are great as they also offer all players 3 or 4 different cash bonuses for each day, which is added to your cash deposit. Silversands Casino offers standard banking options from all major South African Banks. Crediting your players account with playing money is just as easy as any old internet bank transfer, you will have to fax your proof of deposit or email support with your transaction clearly showing your player user name ( id ) and your players account number. Your deposit will reflect in the casinos account, then your players account will reflect your play money. If you wish to claim your welcome bonus or any weekend bonuses, don't forget to redeem your coupon codes at the cashiers desk in the casino software. When you cash in your winnings, all payments will be paid into your account that you made your deposit from.